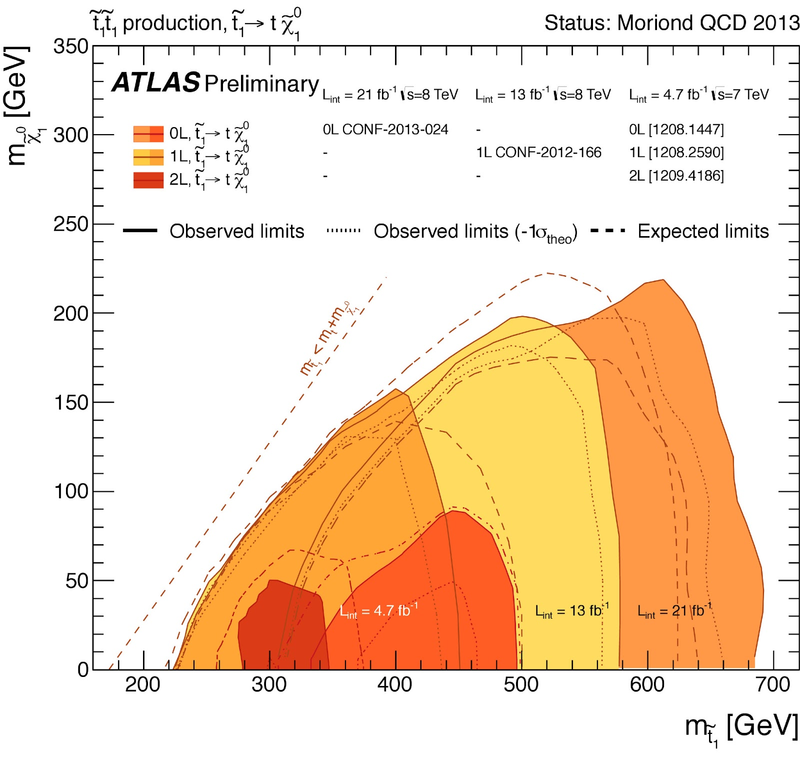 Last Wednesday at the Moriond Conference the LHC dumped several new Higgs results based on the entire collected dataset of about 25 fb-1. So, what do we know that we didn't know before? 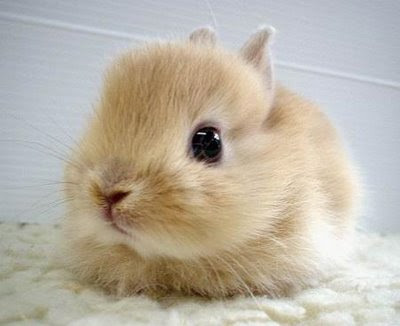 The more we look the more standard-model-like it seems. 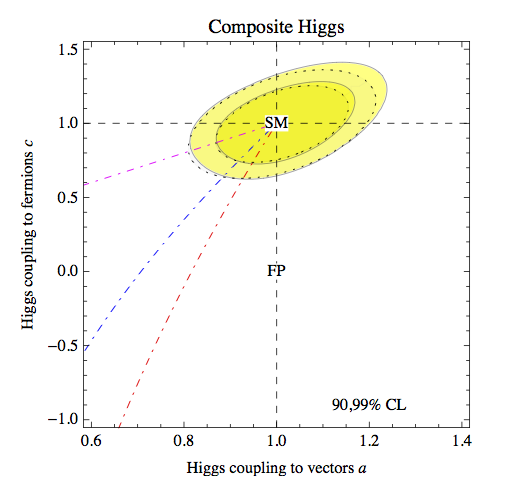 Early on in the game there were several glitches, but with time all the Higgs observables are converging toward the standard model prediction. 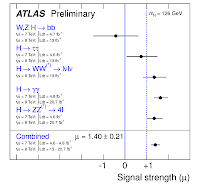 The only worth-mentioning discrepancy that remains is the h→γγ rate measured by ATLAS. 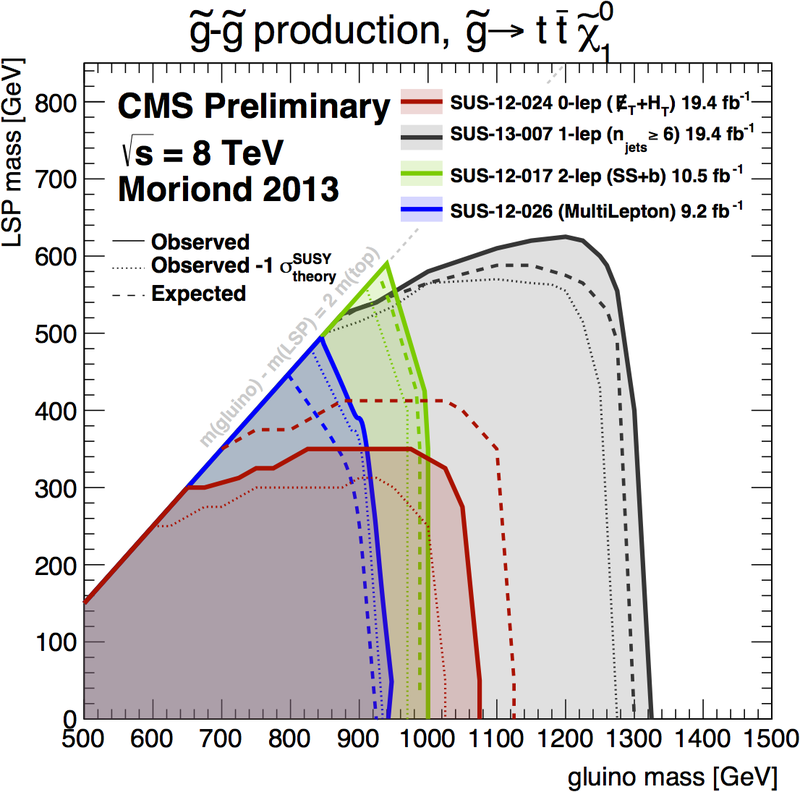 But even that is getting less compelling. 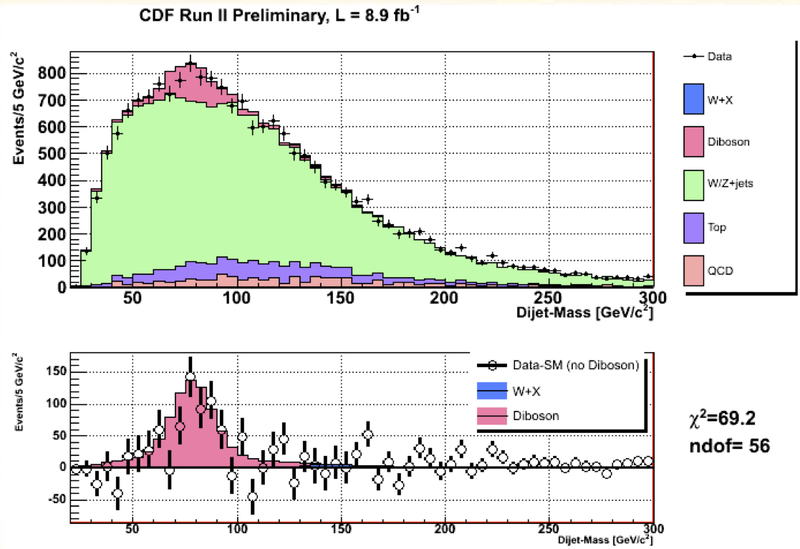 The diphoton rate normalized to the standard model one drifted from 1.80-0.36+0.42 last December to 1.65-0.30+0.34 in Moriond. 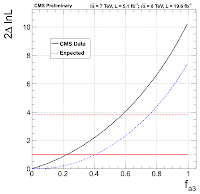 That means the significance of the excess didn't grow after adding more data, which is usually a bad sign. 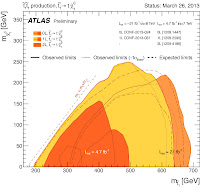 Besides, ATLAS still struggles with the twin peaks -- the 2.5 GeV discrepancy between Higgs masses measured in the γγ and ZZ→4l channels -- which suggests that an unknown systematic error or at least an unlucky fluctuation affects one or both of these measurements. 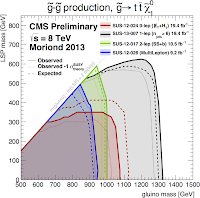 Anyway, next week the air will be clearer when CMS says what they have to say. 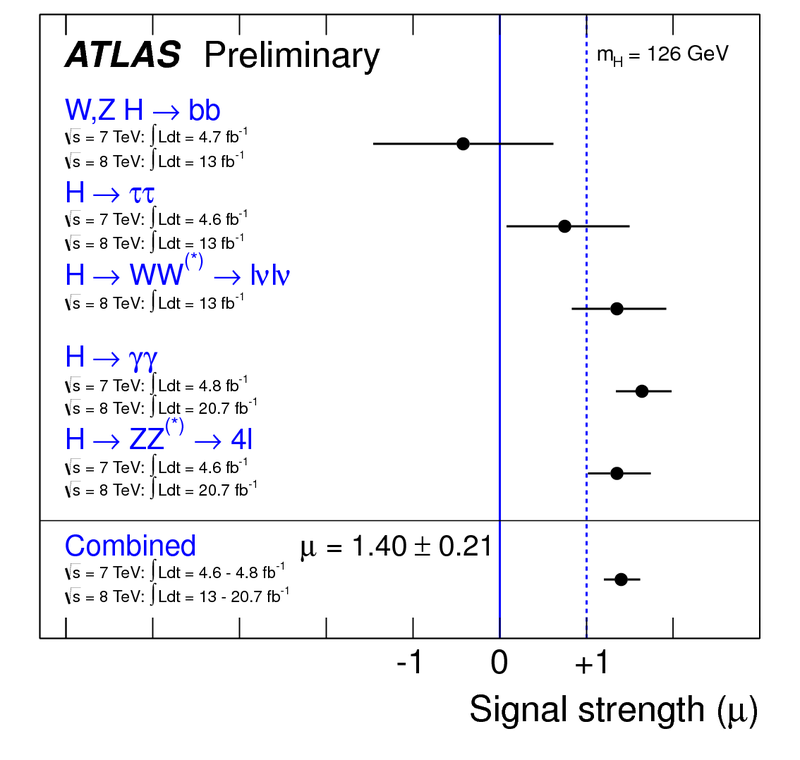 Except for ATLAS γγ, the rates in the remaining channels updated for Moriond (ATLAS ZZ, CMS WW ττ) are within 1 sigma uncertainty from the standard model prediction. 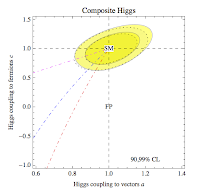 I'm starting to get really annoyed by the endless talk of "Higgs spin determination". As if there was any serious issue at stake. 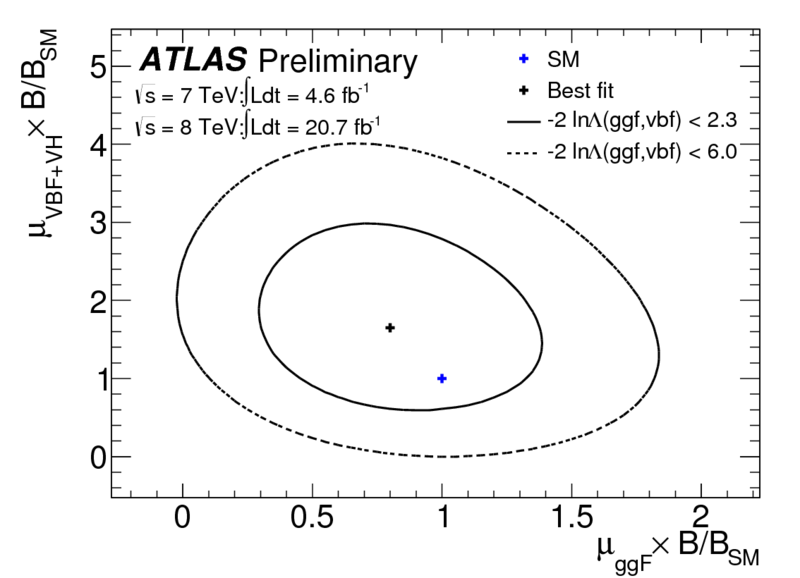 I've said it in the previous post, and I'll say it again: there's absolutely no way the 126 GeV particle has any other spin than zero. 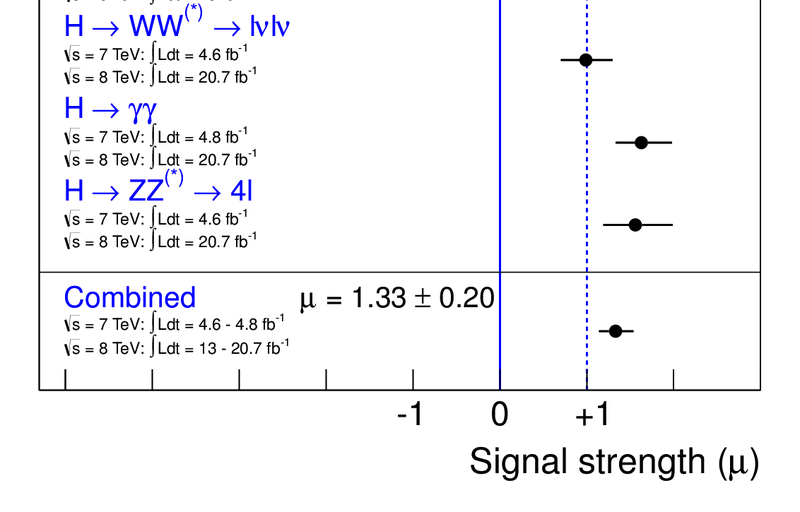 We don't even have a working model for a light spin-2 resonance that would be theoretically sound and not excluded experimentally. 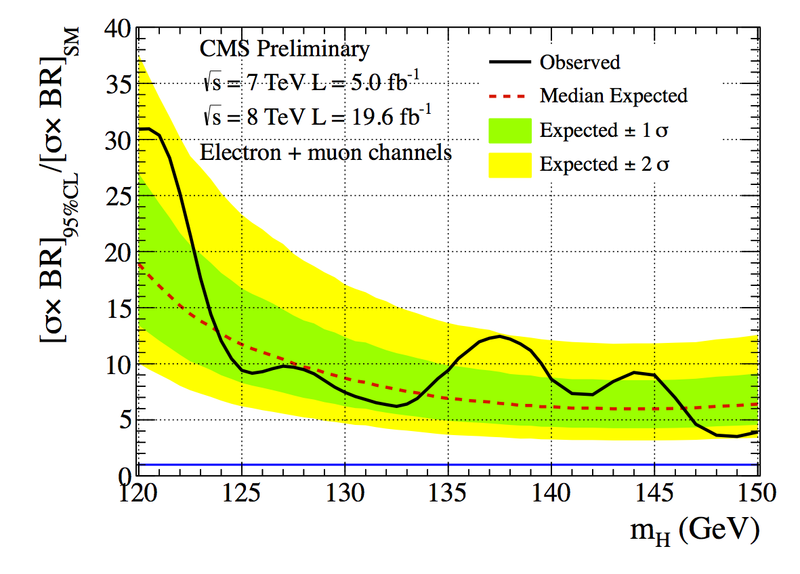 At some level, too much caution may become unscientific. 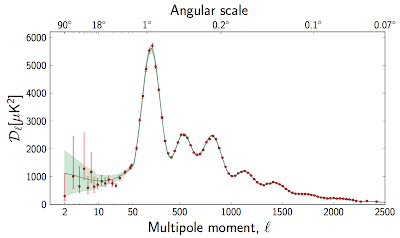 Well, in the end we can't be 100% sure whether Newton's law is responsible for the motion of the planets in the solar system; it might be 7 dwarfs pulling the string in exactly the way as to mimic the inverse square law.... 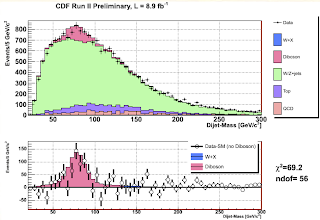 The question is a bit better posed for "Higgs parity determination", as in that case we at least have a sensible model for a pseudoscalar. 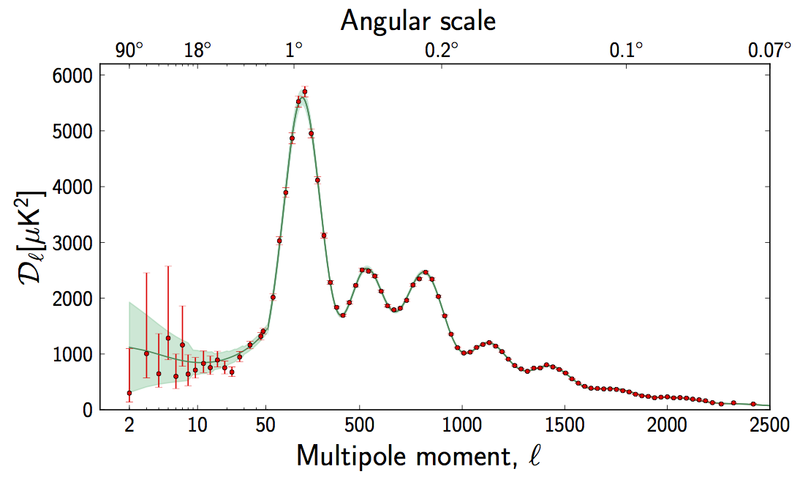 But even then, a pseudoscalar simultaneously reproducing the observed rates in the γγ, ZZ, WW, and ττ channels is absolutely improbable. 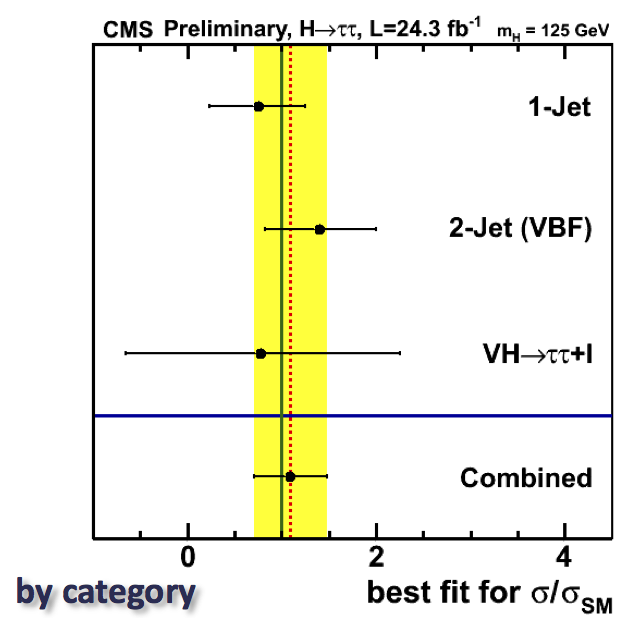 Of course, the above doesn't mean that th e measurements involved in "spin and parity determination" are useless. 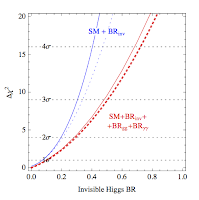 On the contrary, it is perfectly conceivable that the Higgs has some (subleading) non-standard interactions with matter and those measurements are in a position to reveal them. 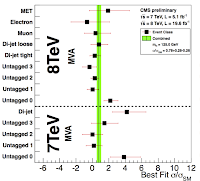 However, they should not be viewed as measuring the spin of the Higgs but as testing whether differential distributions for Higgs production and decay agree with the standard model. 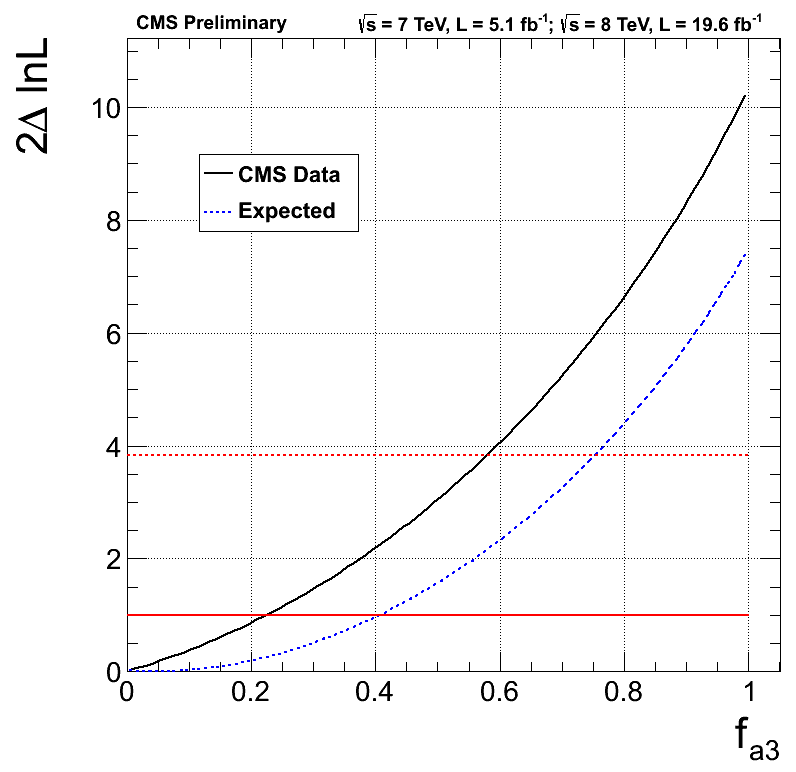 A better way to present results is the one in the CMS plot here that shows the limits on the variable fa3 -- the relative contribution of the pseudoscalar interactions to the h→ZZ decay amplitude squared. 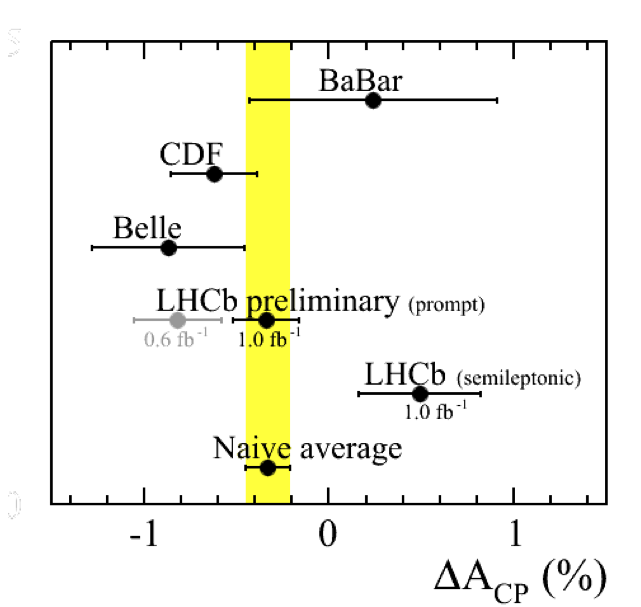 From that we read off that fa3 larger than 58% is excluded at 95% confidence level, already a useful piece of information for constraining Higgs interactions. 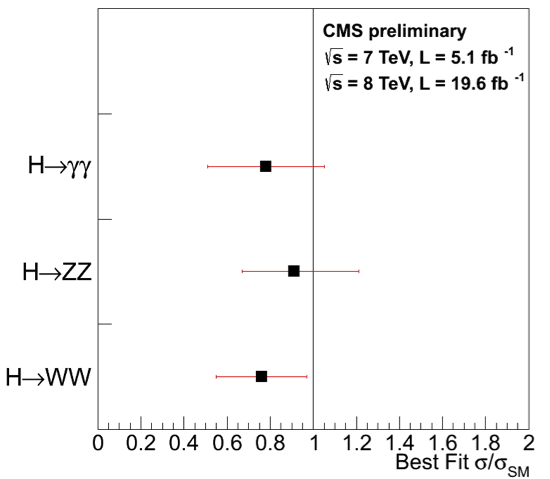 It's also worth pausing for a moment on Higgs searches in channels where we should not see a signal, because the standard model either forbids that particular decay or predicts too small a rate to be detectable with the current amount of data. 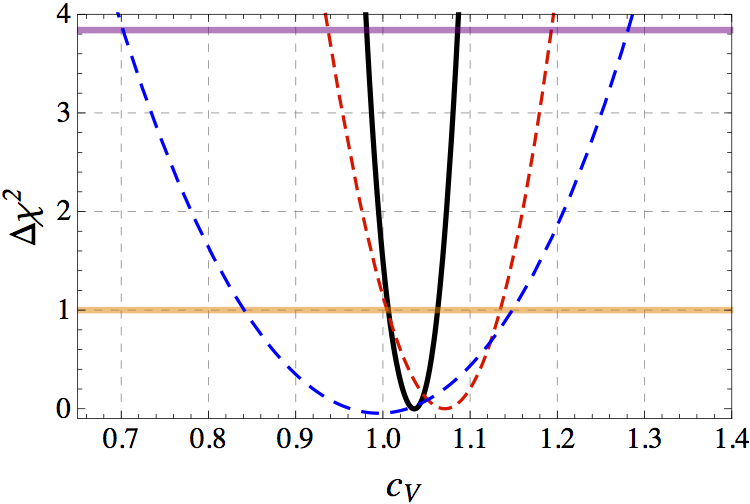 In this category are the h→Zγ, h→μμ, and h→in visible searches presented in Moriond. 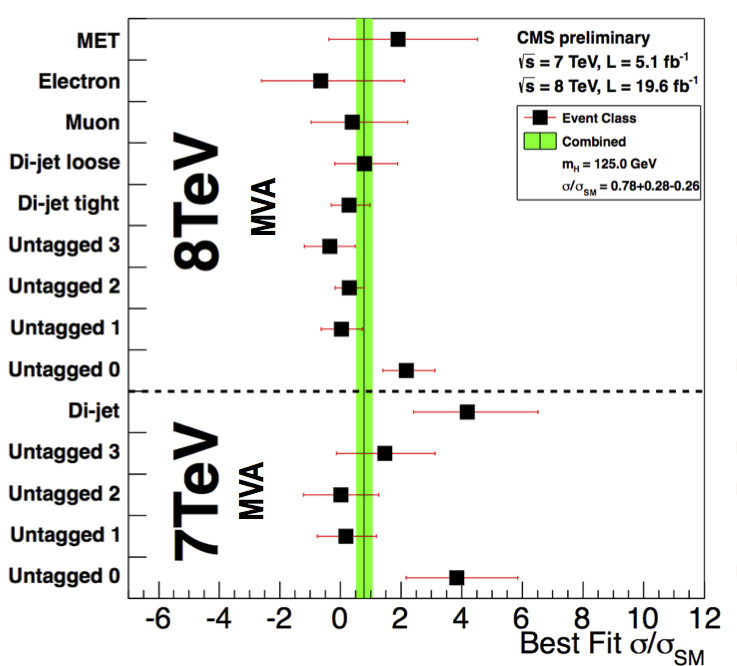 Quite generally, this is a very promising direction for new physics searches, probably more promising than measuring the Higgs couplings. 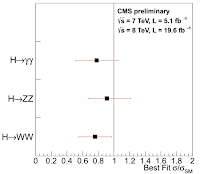 Indeed, the precision with which we can measure the Higgs couplings is limited not only by statistics and experimental uncertainty but also by theory. 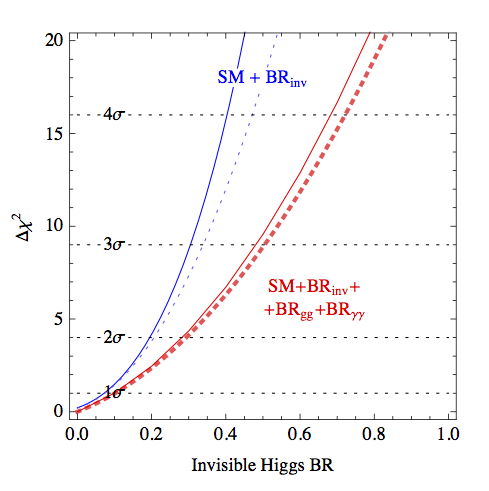 Predicting the Higgs rates in a hadronic collider with a precision better than 10% may be tough, and we're already not too far from that level of experimental precision. 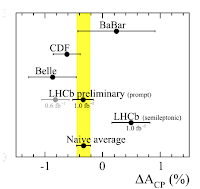 On the other hand, it's entirely possible that Higgs has some non-standard interactions that open a new decay channel or lead to an order-of-magnitude enhancement of the existing one. Observing such a rare decay process would be a clear smoking gun of new physics. 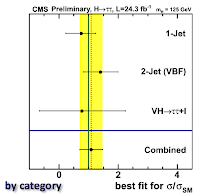 Obviously, no luck so far, but I personally consider searching for rare non-standard Higgs decays our best chance for finding new physics at the LHC.